Blue Mountains, from the Hollywell National Park taken on Oatley Mountain trail inside the park. Jamaica’s master plan for the management and protection of its protected areas – already two years behind its deadline – should be finalized by December 2008, according to Marilyn Headley, head of the Forestry Department and chairman of the Protected Areas Committee. “The Master Plan will address sustainable development of the protected areas, in a unified way,” said Headley, while participating in a tour of the Holywell Mountain Retreat in The Blue and John Crow Mountains National Park recently. The tour was organized for a team from the International Union for Conservation of Nature, IUCN, a global environmental network, based in Geneva, Switzerland, that visited Jamaica to present a Caribbean Environment Initiative for 2009-2012 to government and civil society representatives. “We want all protected areas to fall under one umbrella. We want everyone to begin to take a uniformed approach to the management of Protected Areas,” Headley said. 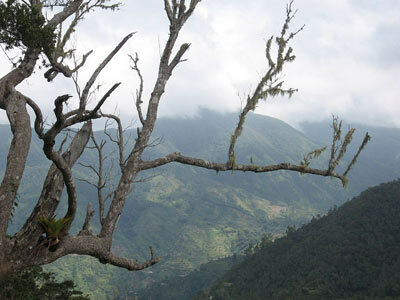 Jamaica is two years behind a December 2006 deadline to complete the Master Plan. Consultations and time required to source financial and other resources are some of the factors which the Protected Areas Committee said pushed the completion timeline to December this year. and the financial gap as well as planned the long term financial stability of managing the areas. The Jamaica Protected Areas Policy of 1997 defines a protected area as an area of land or water that is managed for the protection and maintenance of its ecological systems, biological diversity and or specific natural, cultural and aesthetic resources. These are areas with birds, plants or marine life that are important to the island’s eco systems, culture and beauty. Particular attention is paid to those in danger of becoming extinct or severely depleted by human or natural activities such as weather patterns including climate change, and which are found in a particular area. The areas where they are highly concentrated are designated Protected Areas which helps in their management and protection. They are protected from being removed, hunted, harvested or destroyed by certain Acts and regulations. The Blue and John Crow Mountains, popular for the world renowned Blue Mountain coffee, endemic birds and other wild life as well as flora and fauna, is one such area. There are eight Protected Areas declared under the Natural Resources Conservation Authority Act and several forest reserves and heritage sites have been declared as well as a fishing sanctuary. The practice of declaring Protected Areas began in the 1930s under the Beach Control and Forest Acts and other existing pieces of legislation. However, Headley said the Master Plan will pull all these efforts together and provide a framework for managing and regulating activities in those areas. The IUCN defines the Protected Areas System Plan as the primary national policy document for strengthening management and extending protected area coverage. The development of The Protected Areas Systems Plan fulfills Jamaica’s obligation under the Convention on Biological Diversity. In 2004, the Convention adopted a set of goals and objectives on protected areas called the “Programme of Work on Protected Areas, which is a three phased programme from 2004-2012.” According to Headley resources, both human and financial to implement the Master Plan would still be a severe challenge facing the programme.